With the Damaged Screw Remover you’ll be able to remove damaged screws easily. Each double action drill bit drills the head of screws so that they can be removed effortlessly. 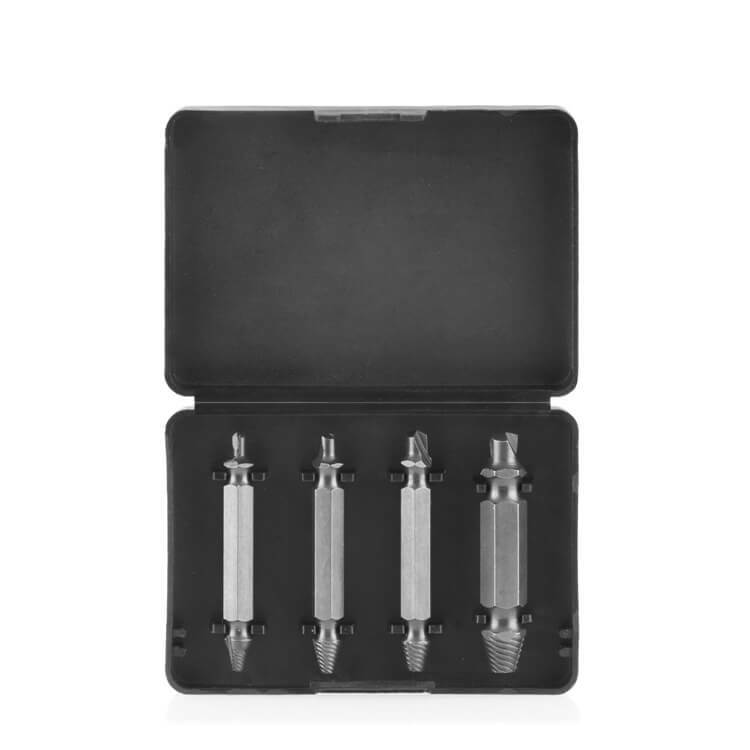 This set includes 4 bits: #1 (screws: 4-7/bolts: 5 mm), #2 (screws: 8-10/bolts: 6 mm), #3 (screws: 11-14/bolts: 8 mm), #4 (screws: 16-24/bolts: 10 mm). They can be used with any drill.